The Royal treatment in every stitch. 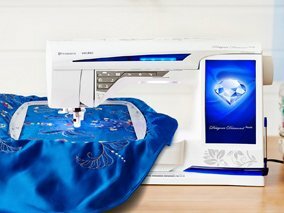 The DESIGNER DIAMOND Royale� sewing and embroidery machine delivers brilliant results. It�s completely intuitive and includes innovations only found on this machine. What�s not to love?